We offer you the opportunity to self publish which means that you have full control of your book, the content and its design. You own the full copyright and ISBN number which is unique to you. We publish you worldwide on Amazon with its large distribution with options to list as an on-demand paperback and/or kindle versions. 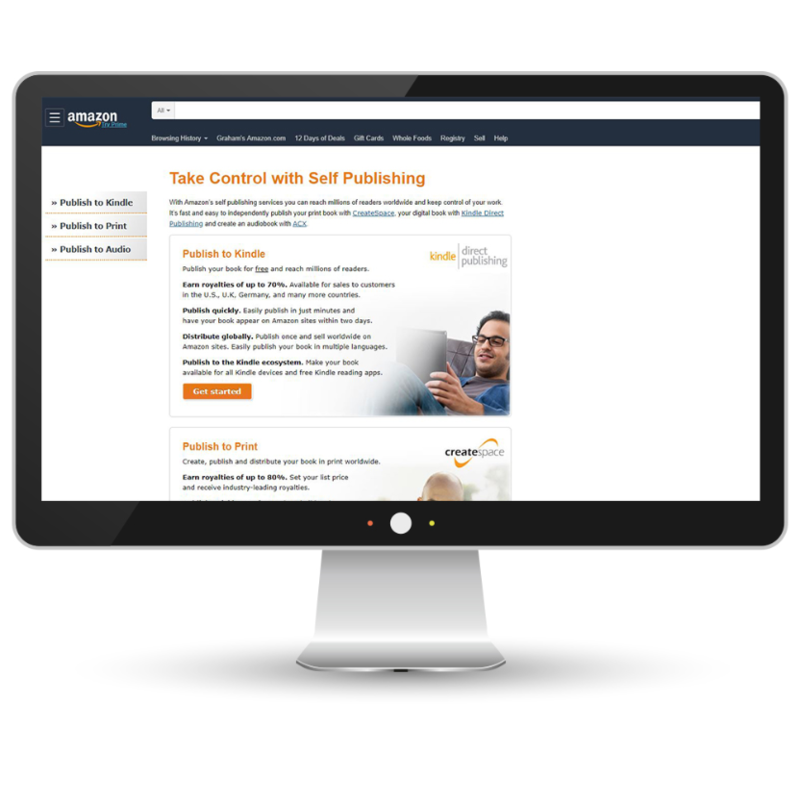 We advise on achieving Bestseller Author status which is highly achievable for many clients. It pays monthly royalties to you as the author. You will be encouraged to follow the self-print route which allows you to sell your books independently in person, online and enables you to book sign for your readers and engage with them at book-signing events, book launches, author/book fairs and speaking engagements. A video testimonial from Nikki on her Self-publishing experience.